I had originally written this article as a guest-post on newoin.net on August 2012. To see the guest post, please click here. According to Microsoft, Windows 8 is “a bold reimagining of Windows, from the chipset to the user experience.” This reimagining, then, brings a completely new user interface to Windows 8, an UI that is a complete departure from any previous versions of Windows. And since the first unveiling of Windows 8 and throughout its public preview releases, this new UI has been referred to, by the community, as the Metro UI because it follows the Microsoft’s design language that was known as the Metro design language. Microsoft itself referred to apps running on the reimagined Windows 8 platform (WinRT) as Metro Style apps. Why, then, isn’t the term “Metro” ever referred to in the operating system itself? More importantly, why does Microsoft officially refuse to name the new, reimagined, user interface? According to Paul Thurrott in Windows Weekly podcast episode 274, when asked, Microsoft personnel would gladly call the classic desktop as the Windows 8 desktop, but they would never call the new UI by any particular name. When asked explicitly what the name of the new UI in Windows 8 is, they just called it Windows. So basically, we have the Windows desktop and, simply, Windows, and not desktop and Metro. At first, this seems quite strange because why would there not be an official name to the new UI in Windows 8; I will admit that I was quite confused by this as well. However, given some time to think about this, I am able to understand what Microsoft is trying to get at. The trick to all this is to approach Windows 8 in a fundamentally different way. That is, we must not think of Windows 8 as having the Metro UI on top of the Windows 7 desktop, but rather, we should approach Windows 8 as having the Metro UI as the primary UI with desktop as the secondary option. Conceptually, Windows 8 is Metro plus desktop, and not the other way around. Technically, Metro is not primary nor secondary because both desktop and Metro is part of explorer.exe. But if we conceptually see the Metro UI as the primary Windows user interface, there is no need to really call it anything but the Windows UI. For instance, we don’t call the UI in Windows 7 the desktop UI or the Aero UI, but, rather, we call simply call it the Windows 7 user interface. This is the same with Windows XP, or Mac OSX. We call OSX’s Aqua user interface by, well, OSX user interface. 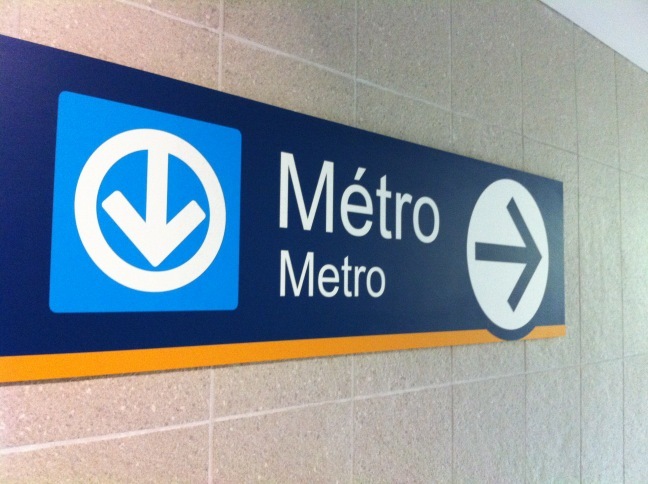 The same principle applies to Windows 8, if we consider metro to be the primary UI. Metro, then is the Windows 8 UI, and because the desktop is now secondary in Windows 8, the classic Windows UI in Windows 8 is given a name of “desktop”. Paul Thurrott does bring up a valid point that term Windows 8 UI is time bound, whereas something like Metro is timeless. That is, when, say, Windows 9 is released, the term Windows 8 UI will make no sense. I completely agree with this argument. I believe the proper name of the Windows 8 UI is Windows UI. In Windows 7 and prior, for example, the tem Windows UI represented what is now the classic desktop. There was no need to call it Windows 7 UI or Windows Vista UI because the UI paradigm was the same in these versions of Windows. Because the UI paradigm is changing in Windows 8, the metro UI in Windows 8 is being referred to as “Windows 8 UI” rather than simply “Windows UI” for differentiation. However, I do think that in the future, the new Metro UI will simply be referred to as the Windows UI. I believe in the future, when we hear the term Windows UI, we will think of what is now called Metro and we will refer to the classic UI as the desktop. Similarly, we will soon refer to Metro Style apps as Windows Apps and the traditional Windows apps as Desktop Apps. Windows 8 is as much a transitional OS as it is a reimagining of Windows. Hence, terms such as Windows 8 UI or Windows 8 Apps are only temporary, which will eventually be replaced by broader terms such as Windows UI and Windows Apps. Metro, or Modern, or whatever they are calling it these days may be still referred to the design language itself, just like Aero or Aqua is.